These rituals & Guides have been written with intention and intuition to assist you in exploring your magick. They are meant to accompany the products that I craft in my Apothecary & studio, however you may use and alter them as you see fit. These rituals are meant to be simple, with few props other than the items for which they have been written for. With them, you can begin to fly the hedges, explore other realms, meet with spirits, & open your heart and mind. 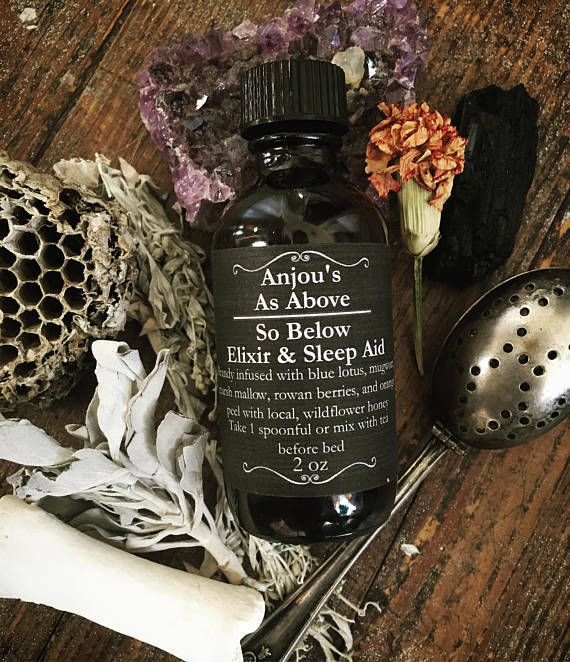 This ritual has been crafted for use with my As Above/So Below Elixir & Sleep Aid to assist you in lucid dreaming & astral projection. This ritual has been crafted for use with my Witches' Flying Ointment to assist you in 'flying the hedges' as well as lucid dreaming, astral projection, and communication with spirits. These rituals have been crafted for use with my Garden Witch Altar Kit to ally the cottage or beginner witch with basic herbs and flowers. These rituals have been crafted for use with my Wildheart Altar Kit to assist with matters of the heart: heart opening, heart chakra balancing, healing from grief & loss, self-love, & romantic love spells & rituals. This ritual has been crafted for use with my Psychic Dream Pillow to aid you on your journey to the spirit world while you slumber. Use for astral projection & lucid dreaming. This guide has been crafted for use with my Poisonous Herb Runes and gives the history, medicinal & homeopathic use, magical use, and element & planetary rulers for each poisonous herb in the rune set. This guide and set of rituals have been crafted for use with my Elemental Anointing Oils and assists you in embodying the elements in your rituals or daily life.